We absolutely love the atmosphere of Birreria with its grand moving roof panels, letting everything of the sky flood in. We do not love the fancy prices for the teeny tiny portions of salad, though we are willing to overlook that once in awhile for a delicious and transporting lunch. 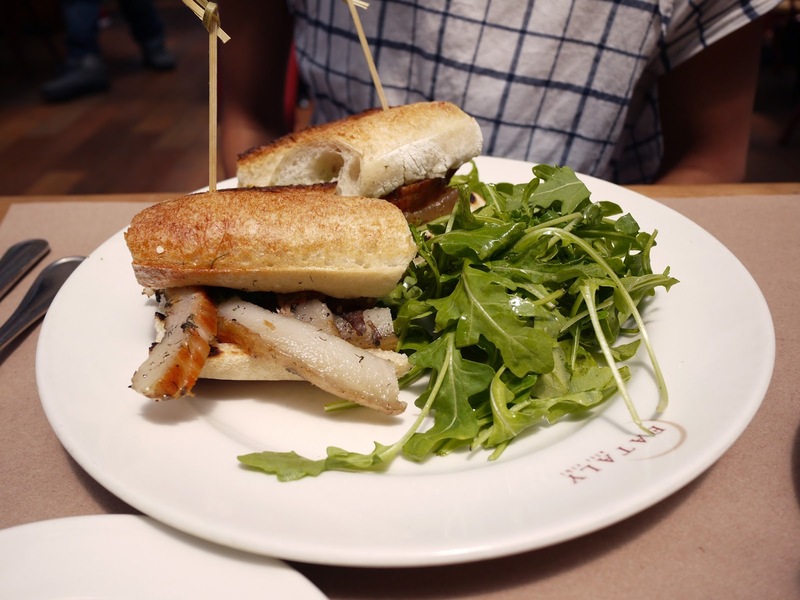 But today we especially did not appreciate paying $18 for a porchetta sandwich that was all fat, no exaggeration. I don't know if it was meant to be that way but then they should probably call it a pig fat sandwich and not porchetta. We poked at it for awhile, hoping to discover even the smallest portion of meat, but to failed miserably.